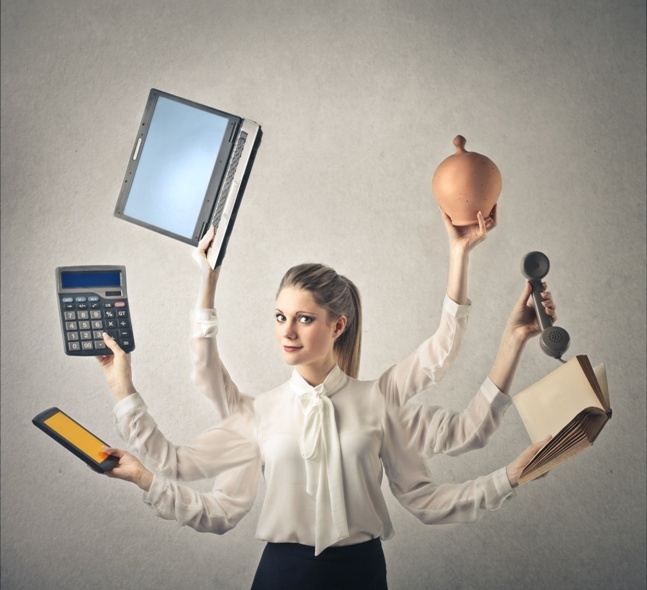 Fellow overly- productive practitioners — do you regularly grade yourself on how well you multi task? Do you view it as a badge of professional honor? This weekend I had a long overdue epiphany: There’s probably greater value in living in the moment Multi-tasking, by its very nature, removes us from the immediate. It takes even the best of us on simultaneous attention detours. It robs us of deeper thinking and mental exploration in favor of more superficial attention to a task or conversation. I for one am now committing to reducing my addiction to multi-tasking and doing a better job of listening, absorbing, appreciating and concentrating on one call, one email exchange, one face-to-face conversation at a time. I will not be texting , writing an email or thinking about dialing my next call while you are talking to me. What are your thoughts from your perch? Howdy would you mind sharing which blog platform you’re using? I’m planning to start my own blog in the near future but I’m having a difficult time selecting between BlogEngine/Wordpress/B2evolution and Drupal. The reason I ask is because your design and style seems different then most blogs and I’m looking for something completely unique. P.S Apologies for getting off-topic but I had to ask! I really enjoy looking at on this web site, it contains great posts. “A short saying oft contains much wisdom.” by Sophocles.